Facts About Arteriosclerosis its Treatment and Prevention. Arteriosclerosis is also known as "Hardening of the Arteries"
Arteriosclerosis is a potentially fatal condition where the bodies arteries tend to thicken with blockages and become non-elastic as a result of fat forming on artery walls. The formation of plaque, which is referred to as Arteriosclerosis and known as Arteriosclerotic Heart Disease, is often caused by cholesterol fats, nicotine, high blood pressure or abnormal sugar content in the blood. You become more susceptible to the disease as you grow old or if the disease runs in your family. Obesity and emotional stress also can contribute to arteriosclerosis disease onset, or its worsening condition. Arteriosclerosis reduces your blood circulation depriving the body organs of oxygenated blood. If Arteriosclerosis happens to the heart artery the consequence will be a heart attack; if a brain artery is affected the person will suffer paralysis and memory losses. The disease could impair the eyes, kidneys (Hyaline Arteriosclerosis), uterus and thyroid (Medical Calcific Sclerosis) or legs. Signs and symptoms of Arteriosclerosis depend on the type of artery blocked. 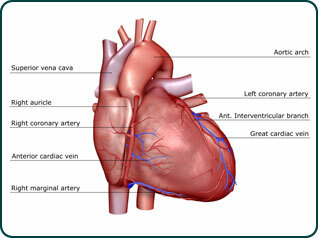 Blockage of a heart artery leads to chest pain; hardening of brain (carotid) arteries causes numbness and dizziness. When Arteriosclerosis happens to the arteries of the legs you will experience cramps in your legs after even a slight exercise. The symptoms show only after the arteries become highly obstructed by plaque. If you have Arteriosclerosis the first thing to do is to change your lifestyle at once. Quit smoking, eat healthy foods and adhere to a regular exercise regime. Immersion baths, juice fast and water enema will improve your condition a lot. Lemon, a source of Vitamin P strengthens the arteries. Honey, Parsley, Garlic and Onions is also known to relieve Arteriosclerosis. Doctors prescribe Anticoagulants and Anti platelet medicines like Heparin and Aspirin to stop artery blockage by preventing blood clots. Cholesterol and Blood Pressure medicines also help combat this disease. In case of severe obstruction of the artery, surgery can be done to either remove the obstruction and widen the artery with stents or replace the blocked artery with a functional one (bye pass surgery). In Arteriosclerosis (Atherosclerosis), plaque deposits build-up on artery inner-walls, which are blood vessels carrying oxygen-rich blood thru out the body. As the arteries walls thicken, the pathway for blood flow tends to narrow. This effect can decrease or even completely block the bodies blood flow over time. Plaque deposits are started from cholesterol, fat, calcium, and other minerals found in the blood. When blood cholesterol levels are elevated, there is a greater chance plaque will build up on the artery walls. In most people, this process begins when they are children or teenagers. Plaque formations can begin to adhere to the walls of the arteries in young children and steadily worsen as the kids get older. After many years the plaque can buildup to such a degree it leads to arteriosclerosis, which artery disease is also known as Atherosclerosis. This is why a healthy diet and lifestyle is important for your kids health and their ongoing wellness in later years as the kids age. Arteriosclerosis Disease, is also known as atherosclerosis of the extremities (often referred to as hardening-of-the-arteries. Arteriosclerosis is a disease of the blood vessels involving a narrowing and hardening of arteries slowing blood supply the legs and feet. This condition causes a decrease in blood flow which often injures nerves and other tissues. Arteriosclerosis, or "hardening of the arteries," commonly shows its effects first in the legs and feet. The narrowing of the arteries may progress to total closure (occlusion) of the vessel. The vessel walls become less elastic and cannot dilate to allow greater blood flow when needed (such as during exercise). Calcium deposits in the walls of the arteries contribute to the narrowing and stiffness. The affects of these deposits may be seen on ordinary X-rays. Arteriosclerosis is a rather common medical condition, typically affecting men (more than females) over age-50. People are at higher risk if they have a personal or family history of coronary artery disease (heart disease) or cerebrovascular disease (stroke), diabetes, smoking, hypertension (high blood pressure), or kidney disease involving hemodialysis. Click-here for Health Tip-of-the-Day. A sedentary lifestyle and lifetime lack of exercise seems to be major contributing factors for getting arteriosclerosis and heart-disease onset. It's believed by Medical Doctors a proper eating and exercise program can also slow down the disease and possibly (in some cases) even reverse arteriosclerosis, though the jury is out on that issue. There are indications long-time healthy eating, alternative medicine, stress reduction relaxation techniques, health foods and even drinks like Green Tea can possibly help your general health and blood circulation. Arteriosclerosis does not usually display symptoms until it narrows or blocks an artery. Once arteriosclerosis has narrowed or blocked an artery, symptoms may include angina and cramping leg pain during walking (claudication). Coronary Artery Disease is a type of atherosclerosis in which plaque builds up inside the arteries that carry blood to the heart. As the artery walls thicken, the passageway for blood narrows. Sometimes platelets gather at the narrowing, forming a clot that decreases or prevents blood flow to the region of the heart supplied by the artery. A trip to the operating room for heart-surgery is a widely used treatment option for many heart patients in serious cases of arteriosclerosis, which coronary artery disease is the leading cause of death for both men and women in the US, Canada and most other nations of the world each year. Two terms medical doctors use to describe the condition is "arteriosclerotic heart disease" and also "congestive heart failure." Angina is a common word heart patients often use to describe the disease. Angina is pain or discomfort, with the pain most often felt in the chest, that happens when some region of the heart receives insufficient blood oxygen. It is usually a health symptom of coronary artery disease, which occurs when the vessels that carry blood to the heart become narrowed and blocked due to arteriosclerotic heart disease. Angina can feel like a squeezing pain, pressure, or tightness usually in the chest under the breastbone, but sometimes in the shoulders, arms, neck, jaw, or back. Angina is most commonly felt after physical exertion. It is also triggered by stress, extreme cold or heat, heavy meals, alcohol, and cigarette smoking. In congestive heart failure, the heart cannot pump enough blood. The heart keeps working, but not as well as it should. This causes blood to back up in the veins leading to the heart, and sometimes causes fluid to build up in the legs or other parts of the body. Congestive heart failure happens when the heart is diseased, injured, or simply over-worked. Peripheral artery disease is often an early indicator of congestive heart failure and arteriosclerotic heart disease. A cardio-event or heart attack occurs when the blood supply to part of the heart muscle is severely reduced or blocked due to a narrowing in a coronary artery. This typically occurs as a result of arteriosclerosis disease. When platelets gather at the narrowing, they can form a blood-clot to completely block the arterial blood flow. If the blood supply is cut-off for more than a few minutes, the muscle cells of the heart may be permanently injured or die from lack of oxygen. The method involves breath holding and reduced breathing. Try it to have easy and fast bowel movements.